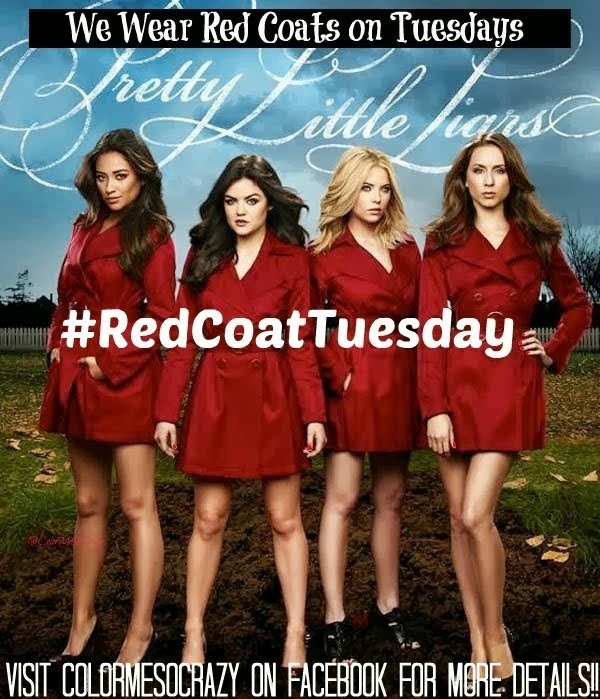 Today, I have a really special polish for my #RedCoatTuesday linkup. 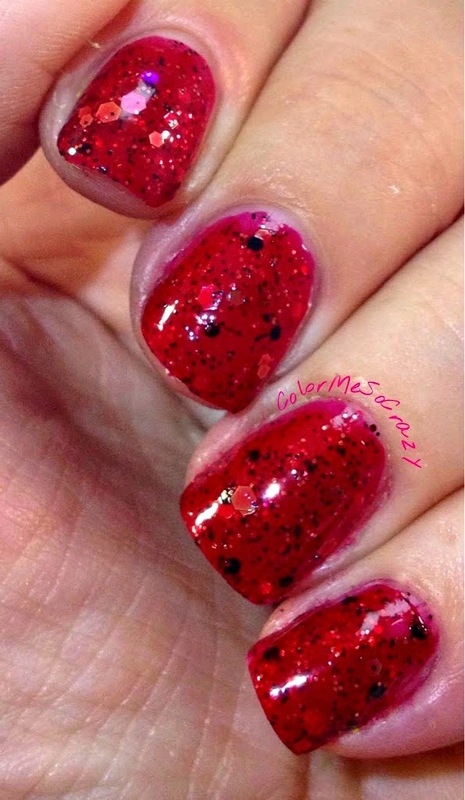 This is a polish that I purchased in a swap a looooooong time ago. 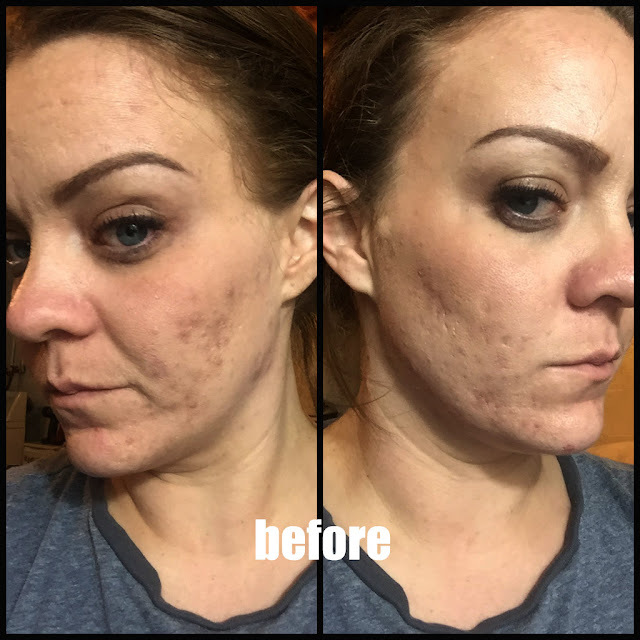 I finally got around to using it and I am glad I did. 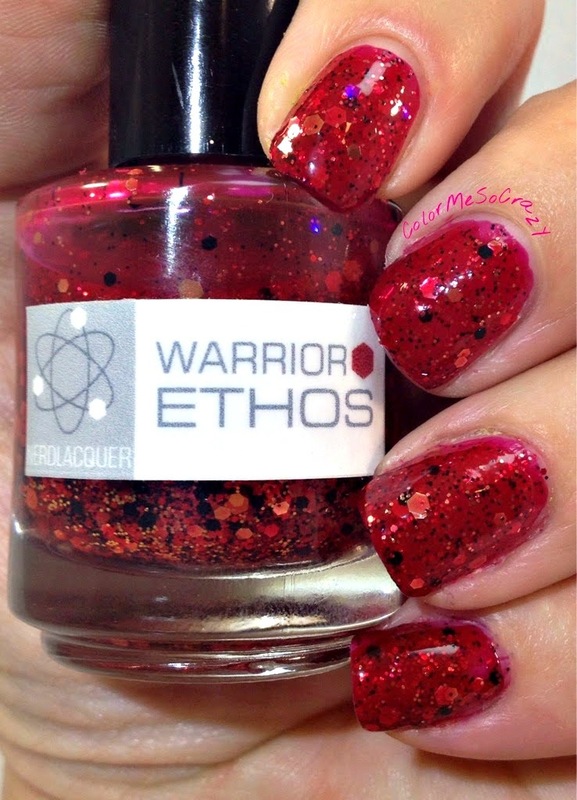 There has been so much drama surrounding Nerd Lacquer. I am the kind of person that doesn't just trust someone of take someone's word because they said so. I have been burned before by this so everyone gets a fair, clean slate and I make my own opinion. I never had any problems with Nerd Lacquer except that she disappeared and then all of a sudden she sent me 3 polishes. It's not really a problem as it is strange. I am still kind of bummed that she just up and disappears. I really like these polishes and I think I may continue to collect. I collected about 12 of them and then all of a sudden sold off half of my stash because I needed money for family things. I still regret it every time I look at my small NL stash. 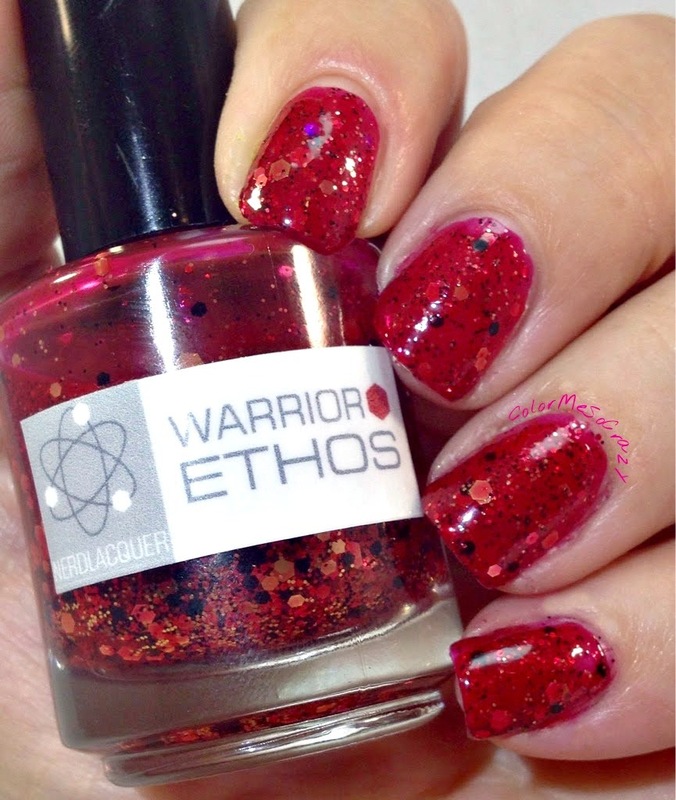 Warrior Ethos is a red jelly with large and micro black and iridescent hexes. I really like this polish, a lot. It was super easy to apply and to keep the glitters even. 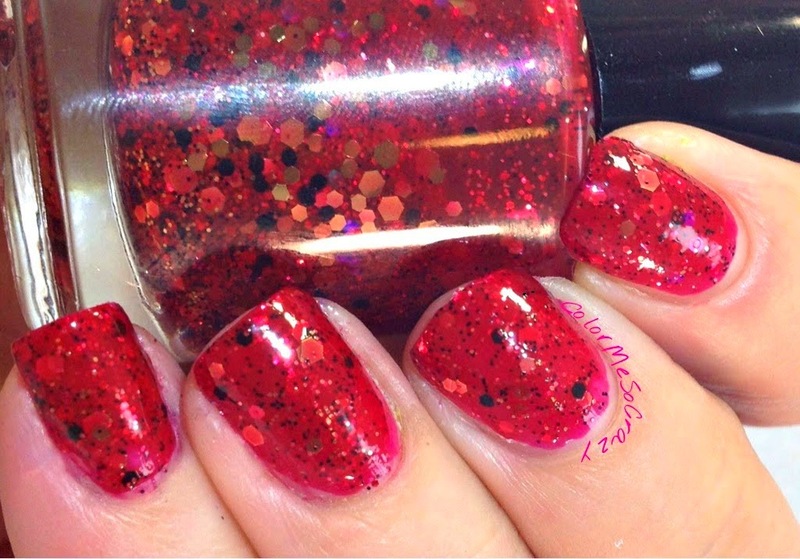 Sometimes in older polishes this, the base and glitter get really lumpy or the glitter just wants to not come out of the bottle. Not this one. So, Aria goes to Radley! What is she going to see? Is dear old Eddie going to help or hinder? What will she find out about Beth?? There is a new lady in the promos, is she going to be a key player? Spence continues to snoop. What is she going to find out? Will Emily's mom be involved? Em's mom has a PLL dinner and by the looks of the the previews, it looks like it gets a little heated. What is that all about? Mona... please tell me someone let's Mona know about it. She needs to be brought down a couple notches because she is getting too out of control. Also, ABC Family announced a special Christmas episode and MRS. D is in the promo... hmmm what is that all about? ?